The William Cook group has cast the first of up to fifty record-breaking steel supports for a flagship new viaduct for the Paris Metro system. 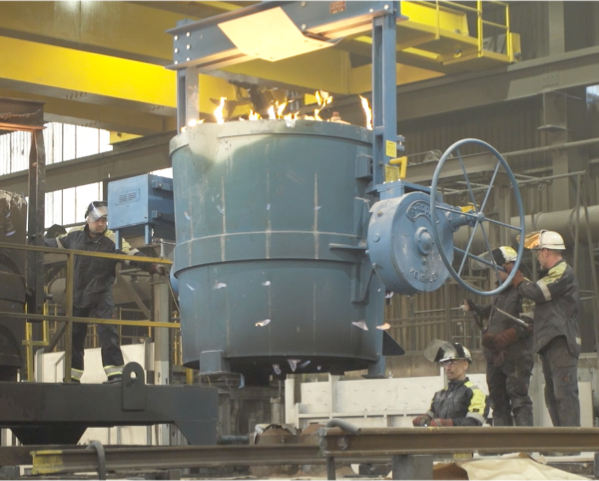 The family-owned business is designing and developing a cast steel column to support the 600m-long viaduct and elevated metro station in a multi-million euro project led by renowned French architect Marc Mimram and the Parisian transport agency RATP. 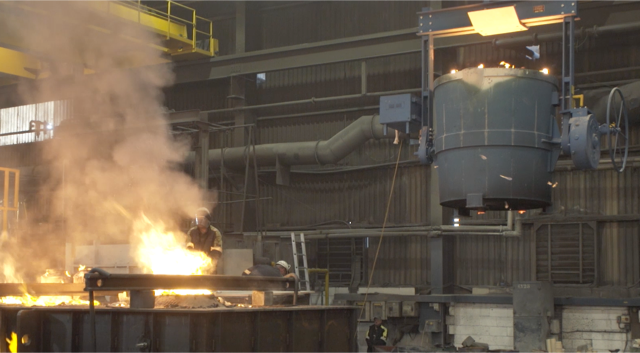 Weighing in at as much as 12 tonnes and up to 7m tall, the columns are the largest castings ever poured at William Cook’s Sheffield foundry. A pair of full-size prototypes has been cast, with an order for a further 48 columns hoped for in 2018. William Cook won the development project against French competition because of its reputation of combining high aesthetics with high integrity in the design and manufacture of structural steel components. In the past it has worked on prestigious projects such as Heathrow Terminal Five and the Millennium Bridge across the Thames. RATP wants the viaduct for an extension to Metro Line 11 to be “a strong architectural gesture” integrated into the surrounding environment with a fluid, sleek and elegant design. The 37 million euro project is due for completion in 2018. Sir Andrew Cook, chairman of William Cook Holdings, said: “We are delighted to have won this scoping project against strong French competition. “It demonstrates our ability to create safety critical components that are engineered to the highest levels of structural and aesthetic integrity. “William Cook has a long track record of designing and engineering steel components for prestigious projects, including Wimbledon Centre Court, Heathrow Terminal Five and the new stadium of a leading London football club. William Cook has invested £6m in its precision factory in Sheffield, further enhancing its design and engineering capabilities. It has installed the latest 3D printing and investment casting technology to allow the rapid manufacture of complex steel alloy components of unprecedented size and accuracy.